Hi, guys, I am a super Japanese Animation fan and I want to find a site which allows me to download anime MP4 for free. Do you have any great idea? By the way, I'll be very grateful if you also can share an available anime downloader. When it comes to MP4 anime download, I believe most of people can't help themselves thinking of some classic anime, such as, Pokemon, Dragon ball and Naruto. In fact, as a term used to refer to Japanese animated productions featuring hand-drawn or computer animation, anime was originally popular in the United States and quickly spread around the world. Of course, Japanese animation is in a position to lead all the time, not just because it owns meaningful plots and unforgettable background music. This is also why so many people from all over the world have strong desire to watch and download anime English sub in MP4 format. Nowadays, more and more people want to save Japanese animation free offline for replaying on iPad iPhone Android devices. According to research, almost a half of people have tired some browser add-ons or plug-ins to download free anime MP4. But, most of time, their computer stuck during the process. Surprisingly, the aforementioned video downloader, MacX Video Converter Pro provides you an ultra fast solution to free download any anime from Crunchyroll, Hulu, YouTube, Veoh, Myvideo, IMDB, Pandora TV, etc. (300+ video sites supported) with whatever formats or solutions, including downloading anime in MP4, FLV, AVI, MKV, 3GP, 720P, 1080P, and 4K UHD. Moreover, it also enables you to freely extract the animation songs from anime movies/series to MP3, AAC for playback on your iPhone X/8/7/SE/6S/6S Plus, iPad Air 2/mini 4/Pro, Android or as ringtone. Now, follow the next step-by-step guide to save anime movies and series offline in MP4. Step 1. Install the anime MP4 downloader for Mac, or for Windows, run it, and then click "YouTube" button. Copy and paste the MP4 animated movies/series or soundtracks URL to the type box. Or clicking "paste & analyze" button to automatically detect information on the opening website page. Step 2. Choose the output format from the format list. Obviously, you should choose MP4 as the output format. Step 3. Click "Browse" button to choose the path where you want to save the output files in. Step 4. Hit "Download Now" and start to download anime english subbed in MP4 on macOS. The tasks can be finished at fast speed and zero quality loss. After the anime MP4 movie download process is finished, you can use top-rated file transfer, MacX MediaTrans to transfer MP4 anime videos to iPhone iPad etc. in a click without iTunes syncing. When it comes to free anime full MP4 movies series downloads, you can't miss out some top anime sites, which aim to stream Japanese animation online or save them offline for free. But before you choose this way to free download anime in MP4 format, you should known that most of them contain redirects, and some of them plugins or even virus. Below we introduce you top best anime videos sites. And you also can find other free movie download sites to get free anime. Note that we don't encourage any illegal anime MP4 downloads here. YouTube - YouTube has some great Anime channels, like Browse Anime, Anime Lovers, where users can download anime free english sub movies and series in H.264. A free YouTube downloader can help you rip any anime MP4 videos off YouTube, and it is 100% clean, no spam, no redirects, no virus. Kissanime - One of the top anime sites in the world. It lets users download anime in MP4 format at 720P, 1080P even 4K UHD for free. The Anime list in Kissanime gives tons of free anime MP4 movies and series. To download anime MP4 free, you should use browsers that don't allow ads blocked by default and disable VPN. chia-anime.tv - a MP4 Anime movies free download site highly recommended by Japanese animation fans. It is rich in anime resources, for example, it has anime movies, anime soundtracks, anime with English sub, anime episodes and many more. To safely download anime MP4 movies videos without virus, spam, redirects or such likes, you can turn to anime downloader. This animated video/movie helper can assist you to freely download 720P, 1080P and even 2160P animated series, full movies and episodes for iPhone iPad Android within seconds from YouTube, Crunchyroll, Veoh, Hulu, Myvideo, etc. 300+ online sites by simply pasting URL and clicking "Download". It's 100% clean, no ads, no malware, no spam, no add-ons. Based on the One Piece manga written and illustrated by Eiichiro Oda, One Piece anime series is still updated periodically even today and has aired more than 700 episodes. It enjoys a high popularity in the worldwide due to its rich storyline. And you have chance to download anime series MP4 after figuring out the right download place. Spirited Away is a 2001 Japanese animated fantasy film directed by Hayao Miyazaki. Spirited Away tells story that a girl named Chihiro's quest to save her parents and struggle to grow up in the modern age where the old family model is deconstructed. Actually, The Secret World of Arrietty is a 2010 Japanese anime movie directed by Hiromasa Yonebayashi and this animated movie is also called The Borrower Arrietty in Japan. A majority of people like this movie very much and have gotten The Secret World of Arrietty anime MP4 download for long-time keeping. The Wind Rises is a 2013 Japanese animated film written and directed by Hayao Miyazaki. This movie was the highest-grossing Japanese film in Japan in 2013 and won and nominated for several awards. The Wind Rises tells the story of Jiro Hirokoshi, the engineer who designed Japanese fighters. As a loyal fan, saving anime episodes offline is a lesson can't be missed. Besides the above-mentioned wonderful Japanese animations, you can search other anime on the internet as well as sites to download MP4 anime in HD and UHD. Hard to download Anime free with English subtitle? No, here is the easiest way to download dubbed Anime speedily with the best Anime downloader. 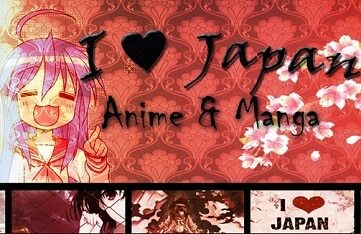 Anime songs download free guide for Japanese anime fans. Free download anime songs, music, OST in MP3, WMA, ringtone, AAC, AC3 etc with high quality 320kbps, 128kbps and superfast speed. Get the best animation software for macOS (High Sierra) free download to make 2D/3D animation videos, cartoons, GIF images etc for YouTube, FaceBook, social accounts. 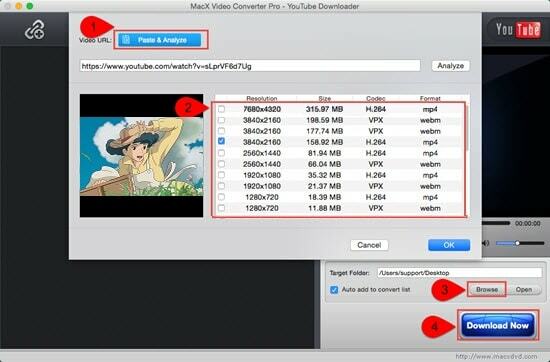 MacX Video Converter Pro is a smashing MP4 anime downloader with top quality and fast speed. This feature-rich music download tool also can help you easily directly convert HD or SD MP4 anime video to mobile devices.